We are a significant organization, engaged in offering an enormous range of Emulsion Adhesive that is not flammable since the organic solvent is not generally used. The provided emulsion adhesive is processed as per with the market norms using quality ingredients. Also, the emulsion adhesive is also a hardener that is self-curing and is widely used as a finishing agent for man-made fabrics. 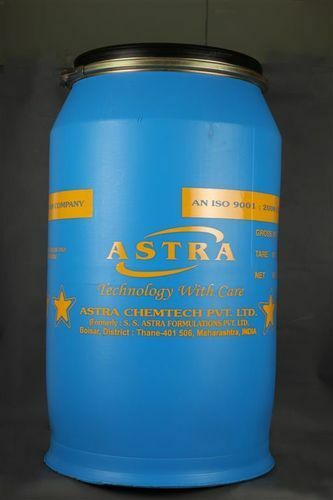 We, Astra Chemtech Private Limited, established in the year 2000, are known among our customers as one of the leading manufacturers, suppliers and exporters of the premium quality of Adhesives & Chemicals. The product range offered by us consists of Synthetic Adhesives, Acrylic Emulsion and Textile Chemicals. These industrial chemicals are processed from the superior grade of ingredients that are procured from trusted and reliable vendors of the industry. Processed as per the industry laid norms, these chemicals are known for their accurate composition, longer shelf life and high purity. Well-equipped with latest machinery installed at our infrastructure, we have been able to manage and meet the bulk demands in the most efficient manner. Some of our countries where we export our product range are Saudi Arabia, U.A.E., Qatar, Sri Lanka, Bangladesh and U.K. SMI Coated Products Private Limited, Silvaasa, Navneet Publications (India) Limited and P C I Papers Limited, are some of our esteemed customers associated with us.